With over 400 miles of mainland coastline and an excellent public path network, Cornwall is all about rugged shorelines, gorgeous sandy beaches, turquoise waters, meandering rivers and wide open countryside. Add to the mix a fantastic diversity of flora and fauna, interesting geology, fascinating history and some of the most striking views in the country and you have one of England's best regions to explore on foot. 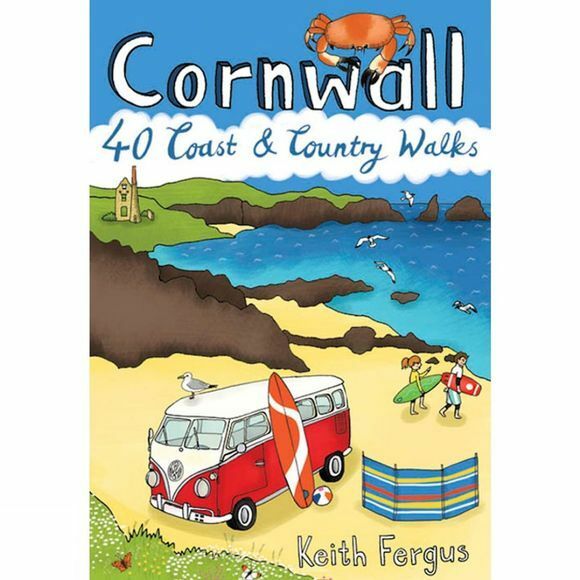 In these 40 walks all between two and eight miles in length Keith Fergus leads you through some of the best rambles Cornwall has to offer. Although the terrain followed varies, and can be hilly, most of the walks are on well-established paths making navigation straightforward and suitable for families.